As one of the central human rights, freedom of expression is capable of touching every other right of human beings. This is even truer under the current political milieu. In the following interview Professor Dr. Nazrul Islam, teacher of Law Faculty, University of Dhaka, touches the core issues of freedom of expression pertinent to present situation. We urge readers to share their thoughts in this regard. Law Desk (LD): What does freedom of expression mean and how is it placed in our legal system? Dr. Nazrul Islam (NI): Freedom of expression means everyone must have the right to express his/her opinion on any given issue. Freedom of expression has been defined in Article 39 of the Constitution of the Peoples' Republic of Bangladesh as freedom of thought, freedom of conscience and freedom of press. But this right is not unlimited or unrestrained in any country. Likewise, in our constitution freedom of expression is made subject to reasonable restrictions. LD: What is the current status of this right in our country? 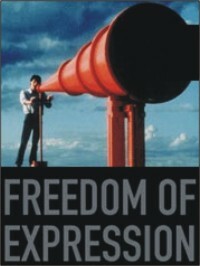 NI: I think, in our country freedom of expression or freedom of press has been seriously curtailed by a number of laws. Only a small group of people in our country enjoys this right. Among various reasons first comes the lack of appropriate forum. Most of the people have no idea how to express their opinion. They don't find any media or forum to express their opinion. Secondly, they don't have enough information even to form their opinion. So, they are being denied of enjoyment of this right. And, thirdly, we have scores of so-called black laws or very restrictive laws, which substantially curtail the freedom of expression. The Special Powers Act or some Penal Code provisions on religious offences or on defamation are good examples of this kind of laws that are responsible for such curtailment. LD: Does emergency affect freedom of expression, if so, to what extent? NI: Emergency seriously affects freedom of expression. Constitution specifically states about the suspension of some of the fundamental rights during emergency. In the context of present situation we can say that our Government, in theory, has allowed press or civil society to express their opinion. But practically the government is defiling freedom of expression in that they are impeding the exercise of freedom of expression by press, other medias, members of civil society or whoever is found to be vocal in law or human rights issues. They are also instructing how to express opinion on certain issues. LD: Few days back we have seen that the present Government had imposed lots of restrictions in the name of national security on press. How much that action is consistent with the right to freedom of expression? NI: Actually nation's security is the one of the most vague issues, and it largely depends on how the Government defines that. I am not very aware of those restrictions, but if there were any such thing, that should be judged vis-à-vis the criteria of public interest. LD: How freedom of expression, access to information and empowerment of people are interrelated with each other? NI: These are very much interrelated because if we don't have any information, i.e. about government tender or any government procurement or any other transaction, it would be difficult on our part to express informed opinion. So freedom of expression is the foundation for effective expression of your opinion. Except for freedom of information this right cannot be enjoyed to it's fullest by any citizen. Next, the empowerment of people; unless we have the right information or scope to express opinion, nobody can demand their right. Even they won't be able to hold the Government accountable or ask for transparency. So unless and until we have freedom of expression and flow of sufficient information, we cannot effectively find ourselves empowered enough to participate in the activities of the government in any form whatsoever. Similarly our personal or community problems would remain unexpressed. LD: Should there be any limit to access to information especially in a country like ours? NI: Actually, access to information is subject to reasonable restrictions in every country. Given this, there must be some restrictions. But before such imposition can take place the law should be very aptly drafted, i.e. India has allowed access to information subject to public interest. That means not a single right is overriding, not a single right is exclusive in nature. But the number of such restriction and the ground on which these would be imposed should be limited. Otherwise that law would not be effective in enhancing people's right. This is exactly what happened in Pakistan and Zimbabwe. LD: What's your observation on freedom of expression in other countries? NI: I have observed three major traits; in advanced countries information laws are significantly effective in terms of implementation, as those Governments are firmly committed to implement those laws. The second category laws are very theoretical but practically not implemented e.g. South Africa, because Governments have not demonstrated sufficient intention or commitment to implement those laws. Third category laws are bad in themselves. Best examples are provided by Pakistan, Romania, and Zimbabwe. Their governments impose restrictions on demand of information. In some extreme cases the person demanding information has to pay the price by being punished. It suggests that having laws on right to information is not synonymous of ensuring freedom of expression. We must have good law and at the same time implementation of the same is to be assured so that freedom of expression finds its true expression. LD: Does the enforcement of this right carry any impact on the development of our country? NI: Development is adversely affected by corruption. So in order to prevent corruption we must have access to information. India, by their several organizational activities, showed considerable success in unearthing corruption incidents and it has huge impact on its local development. There is no doubt that enforcement of this right will curb the corruption and in turn impact our economy and development of the country in a positive way. LD: UNSECO stated that access to information is a way of transparency, which fights against corruption. What is your opinion? NI: Transparency undoubtedly is related to information. Unless and until we have any information about any institution, the transparency shall not be visible. Advanced countries have well-designed infrastructure that encourages access to information and freedom of expression, whereas less development countries are very reluctant to these issues. LD: Do you have any special recommendation for realisation of this right in our country? NI: We should not be hesitant about the benefit of the right to information law. In our country we lack efficiency in storing information in a methodical manner, which reduces our capacity to provide information. Technology can help us to get rid of this untidy situation. Government should allocate money to its different agencies so that information may be stored and accessed easily.